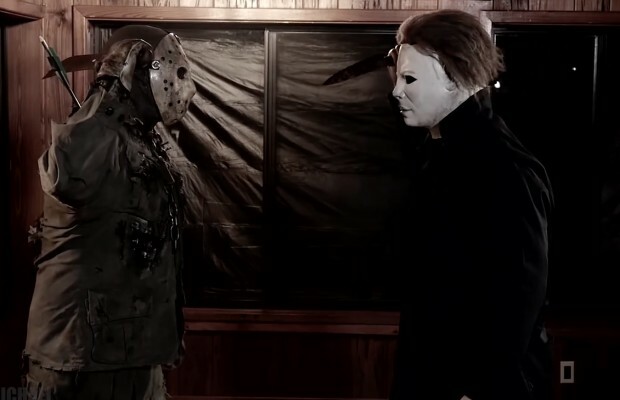 Those who have dreamed of seeing Michael Myers square off against Jason Voorhees finally get their wish in the form of a new fan film that came online a few weeks ago, featuring the showdown between the slasher icons. Jason vs. Michael is directed by Trent Duncan, and both killers look great throughout the 9-minute running time, but my favorite part is the delightfully unexpected use of the Silver Shamrock theme song from Halloween III. As for who “wins” the fight, you’ll have to watch the short film to find out, but feel free to give us your opinion of how this clash of titans would go in the comments! Click HERE to watch more fan films! You can send information on your Halloween Fan Film to us at HalloweenDaily@gmail.com and you might be featured right here at HalloweenDailyNews.com!